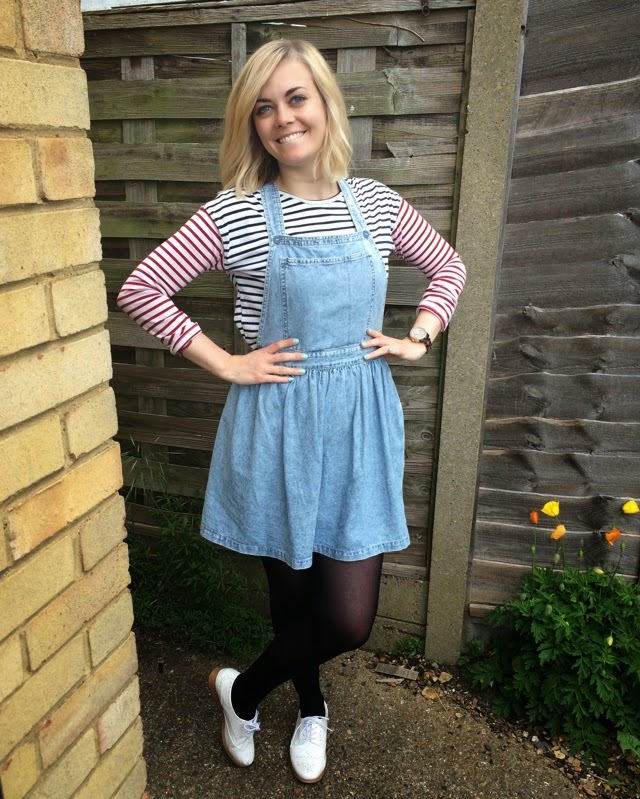 I don’t know what it is but something about wearing a classic striped top, denim pinafore and white patent brogues made me feel like a cowgirl today. And I bloody loved it. Today I got called Cotton Eyed Jo, which is actually my country and western stage name. I got asked where my horse was and if I was a mate of Grayson Perry’s. All compliments in my book. But then again, it doesn’t really matter what others think or say, as long as you’re happy right? And I most definitely am. That’s all.